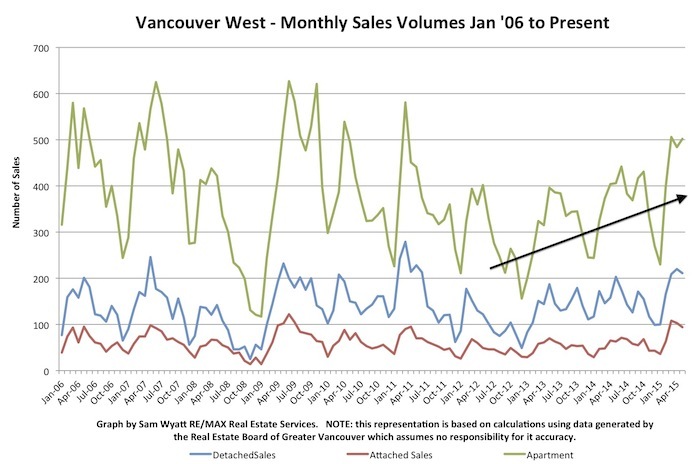 Blog: Real Estate Report - Time to Sell? 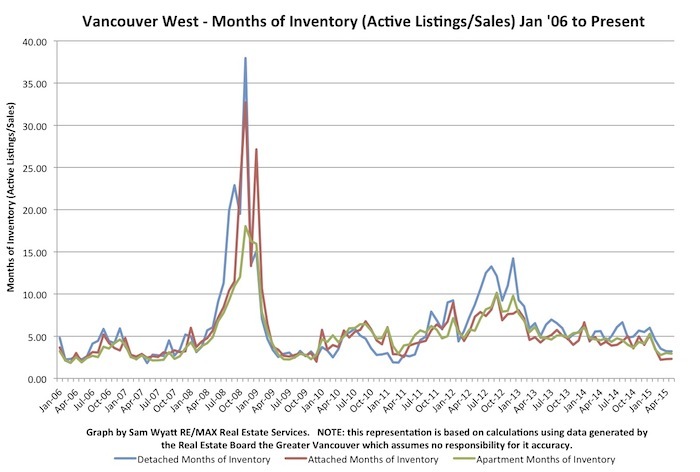 but in spite of very high sales volumes and lower than typical active listings, prices have not risen nearly as much for apartments and attached homes as they have for houses. 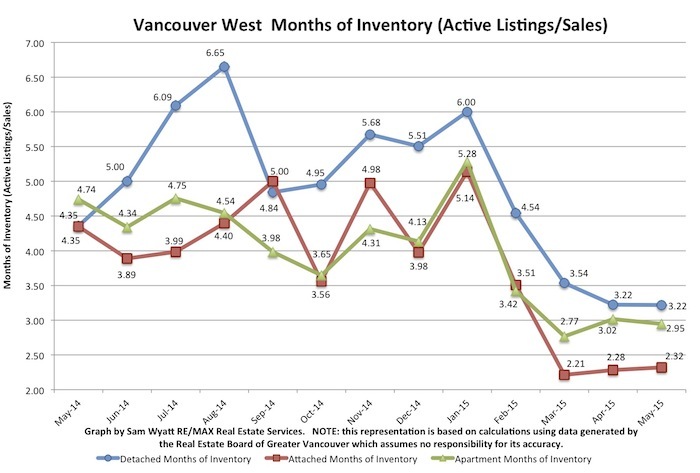 The good news for downsizers is that it continues to be a solid move in Vancouver. 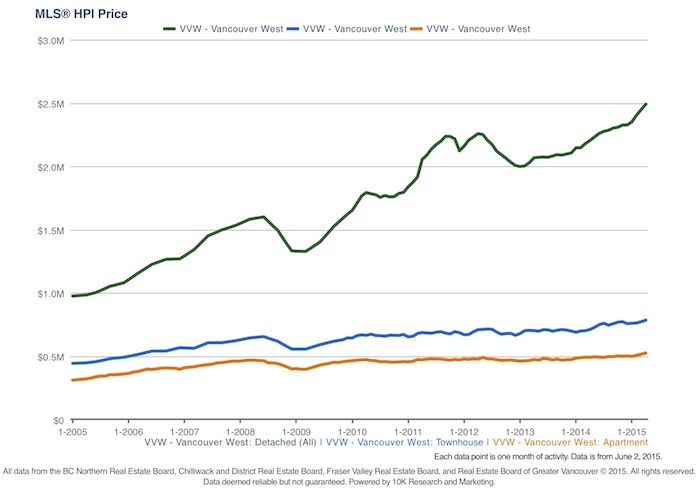 The graph below shows the dramatic change in pricing per square foot over the past decade. 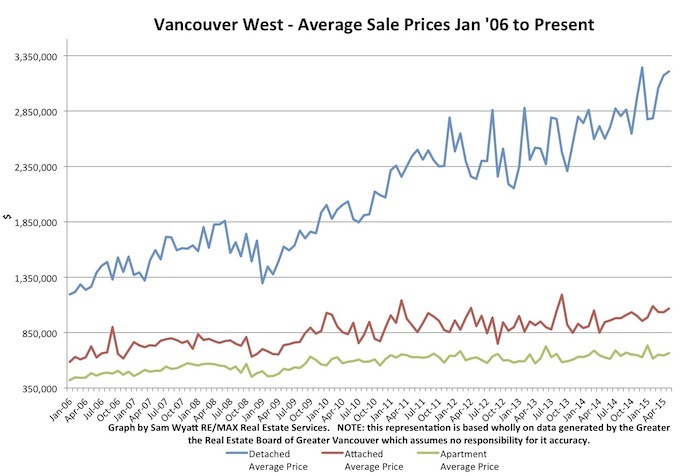 Prior to 2010/2011 detached house prices remained significantly lower per square foot than attached homes and apartments. 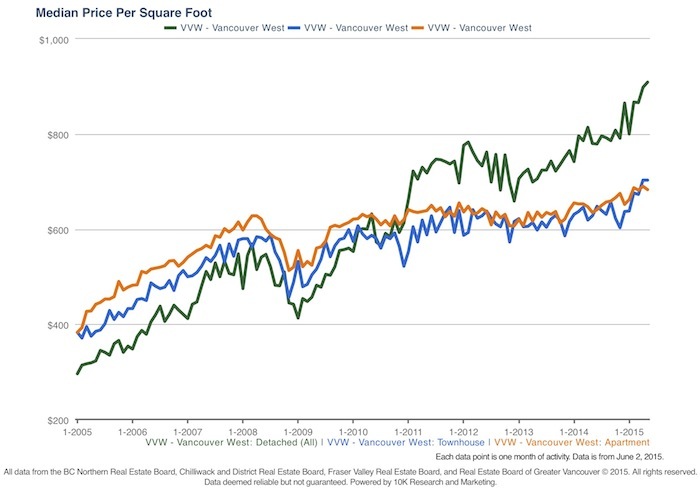 Since then, the opposite is true and the spread on price per square foot between detached homes and apartments continues to grow. 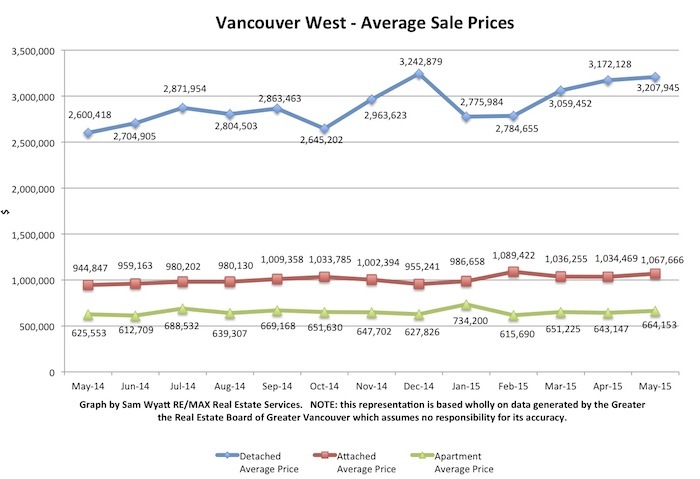 The median price per square foot for detached homes in May was $909/sq.ft., Apartments were only $683/sq.ft - a spread of $226/sq.ft. For a 2000 sq.ft. home it means that there is a difference of $452,000! 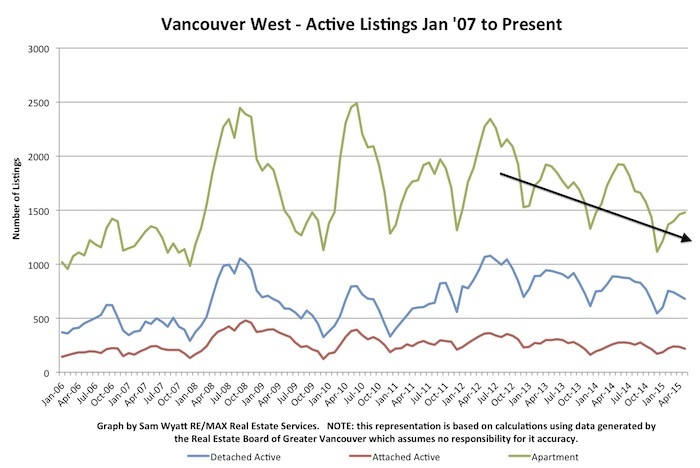 There has never been a better time to sell your house to move into an apartment.